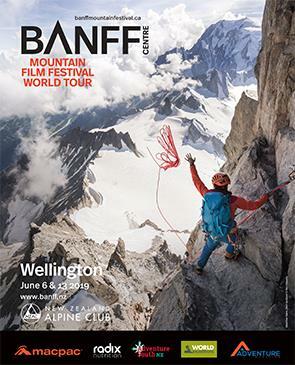 Donations contribute to helping the New Zealand Alpine Club support NZ's climbing community. Back by popular demand, a series of acclaimed mountain adventure films to stir the imagination and inspire. Sit back and be amazed. On the day please bring proof of your ticket purchase to show on entry. You can do this digitally via your smart phone/device, or print your ticket off from this site. Please note, no refunds are available, so please take care to select the right date to suit your needs.